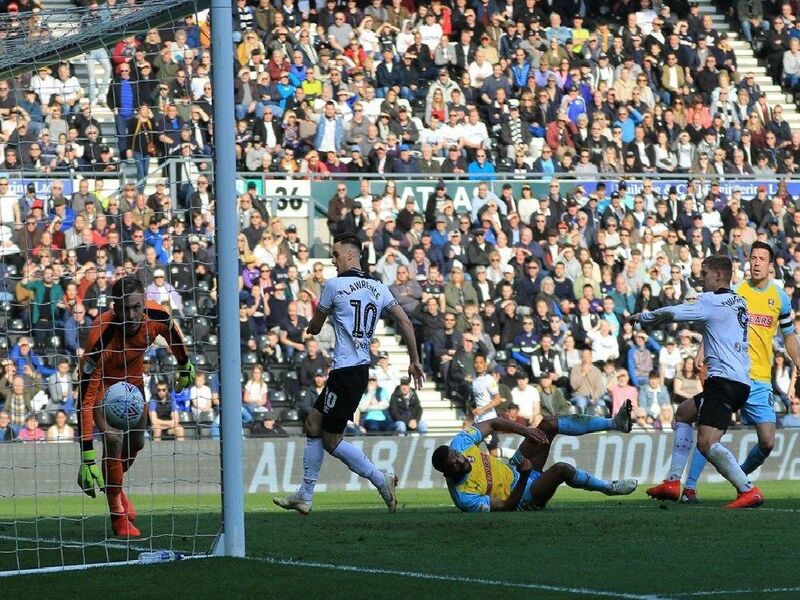 Derby County enjoyed an emphatic 6-1 win at home to Rotherham United on Saturday. Our photographer Jez Tighe was on hand to capture the action both on the pitch and in the stands. Check out our gallery below. Rams fans before the game. Rams fans applaud their team onto the pitch. Tom Lawrence takes on the defence.